Home/Fifteen Trees, Tree Plantings in Victoria/Trees for 4 fabulous people! Individuals make up a significant portion of our tree sales and are great contributors to our tree planting projects. We were able to plant another 100 trees at Flowerdale (Vic), thanks to the generosity of these fabulous four: Andrew Howard (40 trees), Llewellyn Wishart (15 trees), Charles Taliaferro (15trees) and Aliya Hutchison (15trees). We love it when we plant trees as gifts! In this case, we planted 40 trees as gifts for Riley and Harry who turned 20 on June 9th. One tree each for every turn around the sun. Their father Andrew Howard has been a supporter of Fifteen Trees since 2012 and so Howard turned to us to organise the planting of some trees on the behalf of his boys on their birthday. What a great way to help our next generation think about our environment. Llewellyn Wishart always asks us to plant trees when he is planning a trip. We plant one tree for every hour Llewellyn is ‘in the air’. This time round we have planted 15 trees to reduce the carbon footprint of Llewellyn’s flights. Charles Taliaferro, a professor from St Olaf College in Minnesota is a favourite of ours! Every semester Charles organises the planting of one tree for each of his students. This semester, we have planted 15 trees on the behalf of Victoria Owusu, Patricia Owusu, Jesse, Stephanie, Annika Johannsen, Hakenna Ash, Chen Zhenghui , Pu Yanglu, Myles Murphy, Beth Blakeslee, Bay Warland, The Werede Family, Omara Esteghal, Shubhav Baniya & Family and Kristen Mahlis. Charles has inspired me to also plant trees for my students this semester. So, Nikkita, Micaela, Maddison, Jack, Tess, Jacinta, Grace, Mila, Carly, Emma, Tayla, Eliza, Elizabeth, Alicia and Keira, these 15 trees are for you! 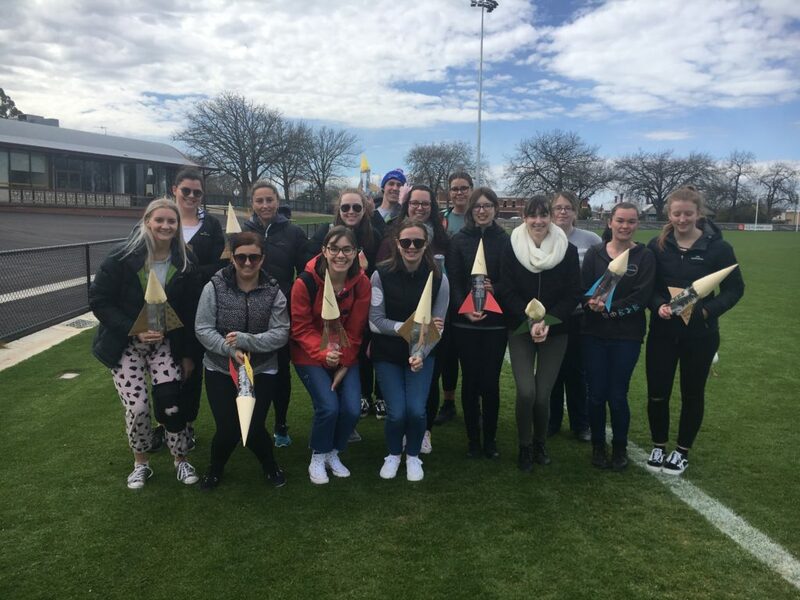 The class from ACU with their water rockets. Aliya Hutchison is a young entrepreneur who specializes in hand-made soaps – with a difference! Not only are they creepy, cute and quirky, but Aliaya also ensures her soaps are earth friendly and vegan! Ticks all our boxes! Aliya has had 15 trees planted to reduce the carbon footprint of her on-line company. Check her out at Sailor Mouth Soaps! 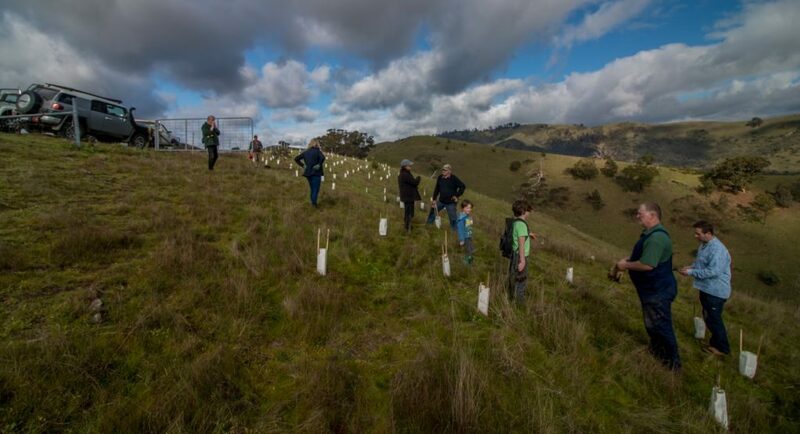 The 100 trees were planted by Steve Joblin and his Flowerdale Landcare Group in the Victorian shire of Murrindindi.